Are you interested in earning free Wendy’s food by sharing your opinions about Wendy’s customer service? This Wendy’s guest experience survey report will outline how to complete the Wendy’s survey. We’ll list out everything you need to take the survey, talk about different Wendy’s survey rewards, and walk you through taking the survey itself. At the end of the article, you’ll find helpful tips and other information about the Wendy’s survey and Wendy’s customer service contact details. To be able to take the Wendy’s customer satisfaction survey, you’ll need to meet these requirements. All participants have to be legal U.S. residents. You don’t work for Wendy’s or their affiliates. No one from your family or household works for Wendy’s or their affiliates. You have a recent Wendy’s receipt inviting you to take the Wendy’s survey. Strong knowledge of English, Spanish or French. You have a working email address. By taking part in the Wendy’s online survey and sharing your honest opinions about your experience at Wendy’s, you’ll earn a coupon for either a free Wendy’s menu item or a discount to be used on your next purchase. Wendy’s typically offers free Frosties, sandwiches, sides or buy-one-get-one deals as their survey reward. Check your receipt to find out what the current reward is. In addition to a physical reward, you’ll be able to help shape the future guest experience at Wendy’s through your feedback and suggestions. Navigate to the Wendy’s website for survey to begin the survey process. If you prefer to take the survey in Spanish or French rather than English, select the language of your choice at the bottom of the page. Enter the restaurant number from your receipt. If you have an issue locating the number, use the visual provided on the right side of the page to help you. Answer questions about your experience at Wendy’s. You can expect questions about the appearance of the Wendy’s location, whether your food was prepared in a timely manner, how courteous the staff were, and how you felt about the quality of your meal. Press “Next” after each question. When the survey asks for more detailed information about your experience, consider adding in any suggestions and other feedback you have for Wendy’s. This way, you’re greatly helping the company understand the way customers think about their services. Enter your email address. Wendy’s will allow you to access your coupon code only after submitting your email address. Afterward, they will send your coupon code by email. Write down your coupon code or screenshot it. Be sure to keep your original receipt. Bring your coupon code and receipt to Wendy’s within 30 days to redeem the coupon for a discount or free menu item. Your receipt will tell you what the current Wendy’s survey reward is. The coupon code you receive from completing the Wendy’s survey is valid for up to 30 days unless otherwise noted. If you accidentally navigate away from the survey site before writing down your coupon code, just check the email that you provided to Wendy’s. They will email you your survey code a few minutes after you complete the survey. It’s easy to get in contact with Wendy’s customer support team through your favorite method of communication. Phone and text message support is offered through 888-624-8140. 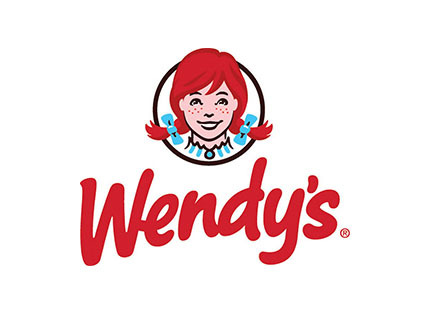 Wendy’s has a notably active social media presence and responds to customer service inquiries through their Wendy’s Facebook page and Wendy’s Twitter profile daily. You can also choose to utilize Wendy’s contact form on their website to send Wendy’s feedback or comments by email and request to have them either email or call you back. Wendy’s remains one of the most popular fast food chains in the United States. To preserve their prestige, they need to work on their customer care services non-stop. Your input will greatly help them in this endeavor. To show their appreciation for your support, Wendy’s guarantees you an instant reward once you finish your survey. Share with us your own opinions regarding Wendy’s survey in the comments!